Working Out Loud With Gratitude. #RelentlessHumanity Yo! Working out loud (WoL) – sharing your knowledge transparently, moving towards your colleagues and stakeholders, asking for and offering help – is the approach to work that puts people (and networks) before process. I like the tag #RelentlessHumanity to describe this endeavour – enterprise social networking tools are there to push our collective humanity in a way that Facebook et al has done in our private lives. I am always thirsting for the chain reaction BOOM! point where this idea scales in the enterprise. We have to start somewhere. The excellent John Stepper is getting very meta, working out loud about working out loud in his workplace and paying it forward – helping colleagues join in the fun. This weekend I had my own small BOOM! after consuming various media on happiness, gratitude, sharing and pay-it-forward. What is sharing gratitude – saying thank you, openly – if not (one part of) working out loud? It is perhaps the simplest way we can put ourselves out there, though not necessarily the easiest. My workplace is no different to many – we have high levels of respect for each other, but touchy-feelyness is not our thang. A frowned head nod, maybe a fist bump, a muttered ‘good work’ will suffice. We have a Praise button on our yammer network, but it is under-utilized. 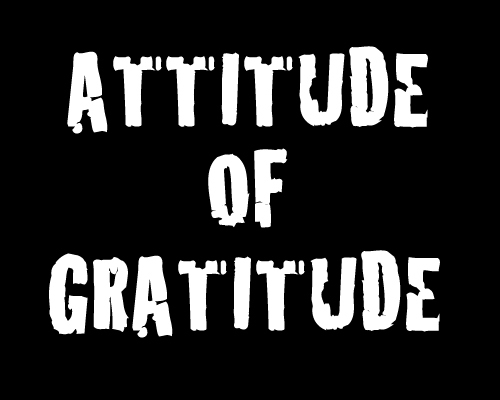 I need to work it harder, because WOL + gratitude not only opens up the enterprise, it makes everyone happier too. Barking Up The Wrong Tree has a few other neat examples: showing gratitude improves your own life; presumably it improves the life of the recipient; and it also has pay-it-forward chain reactions in social networks. Sweet.